chargecard chargekey hellonomad nomad ChargeKEY from Nomad maker of the wallet ChargeCARD! 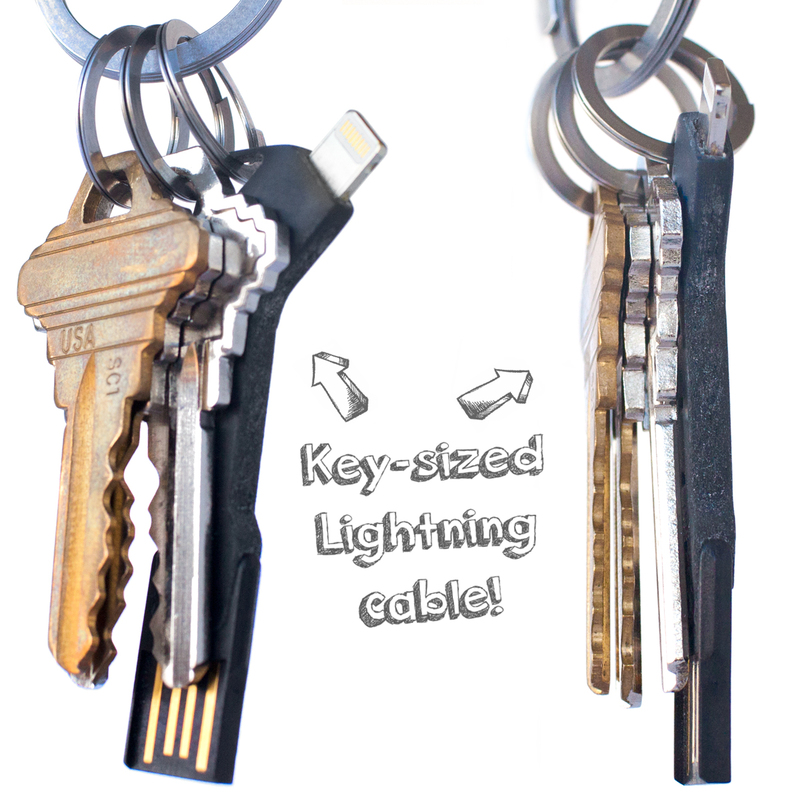 ChargeKEY from Nomad maker of the wallet ChargeCARD! The Nomad team was kind enough to provide me with a sample of their ChargeKEY. I've decided to put it to the test in our Canadian winter just because I can. I figured if it's rugged and sturdy I should be able to use it in various condition! The product is very flexible and can hold and dangle your phone quite well and has a good gripe. Believe it or not my phone didn't fall on the concrete as I was moving table, it's made though. Let's recap, flexible, strong, convenient charge and sync adapter. 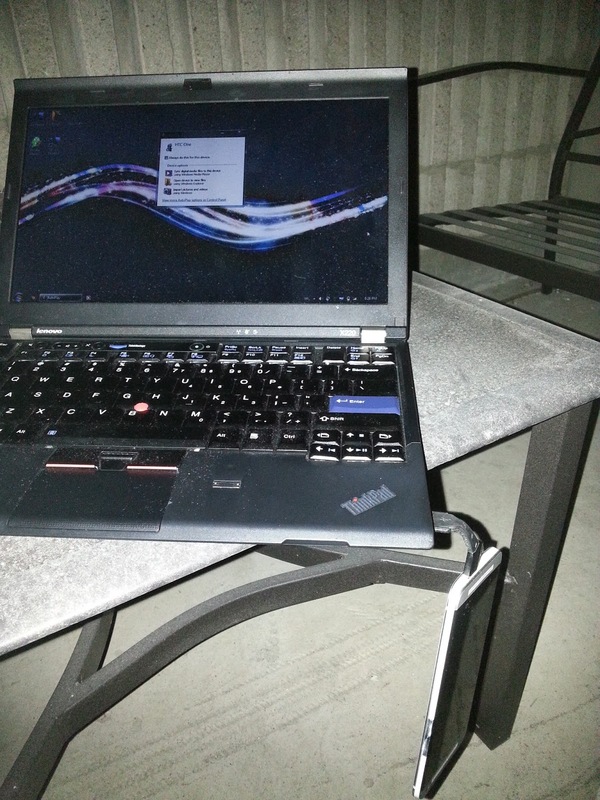 Here I am outside at -20C, charging my phone, transferring files and having a good time while keeping an eye out on my phone and checking it dangling from the table as well. What more can you really ask for in terms of portability? I'm thinking if I throw in one of those small travelling wall plug it would be an even better AWESOME accessory! If you have doubts about this product, I'd say don't! You have the added bonus of using it to connect to your laptop, desktop if you need to sync, transfer file and CHARGE! "USB ports are standard worldwide, so plug into any USB! Flat screen TV, printer, game console, computer, many cars and airplanes - you name it and you're charging!" 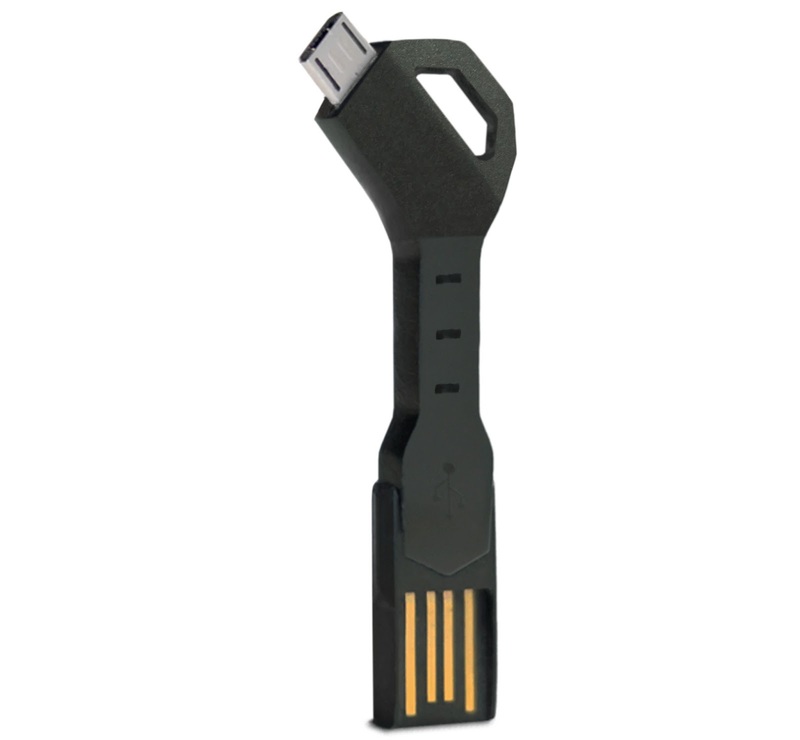 If your interested to get yourself a ChargeKEY head on over to www.hellonomad.com they have them for 25$ and the price is right for the type of device you get. I'm thinking of other application for the Nomad ChargeKEY. Adapting a card reader device to make use of the USB connector allowing me to read different microSD on my phone HTC One. Just because I can.